How To Repurpose a Play Yard - it's BABY time! Most parents will own a play yard for their babies. After all, they are very useful during the early months and many of the play yards today have several features that make them quite versatile. So what do you do with it after your baby has outgrown it? If you plan on having more kids in the future then you will most likely store it away for future use; however if you know you’re family is complete there are several options for recycling it. You may know someone who is expecting that could use it or try selling it at a consignment shop. However, if you don’t have someone in mind or you would like to hang onto it for sentimental reasons here are a few really neat ideas on how you can repurpose a play yard to get more use out of it. This is cool idea to repurpose a play yard so that your toddler can continue using it. Create a space just for your toddler by converting your old play yard into a tent or a cute little reading nook where they can hang out with friends. Use a box cutter, knife, or scissors to cut out the mesh side of one of the longer sides of the play pen (a box cutter would probably work best). Be sure you only cut out the mesh part and not the seam. This will make a front opening for the tent. Take an old fitted crib sheet and place along the top for a covering. If your play yard had a toy bar or a mobile above it keep to use to form a point in the middle or dome-like covering. 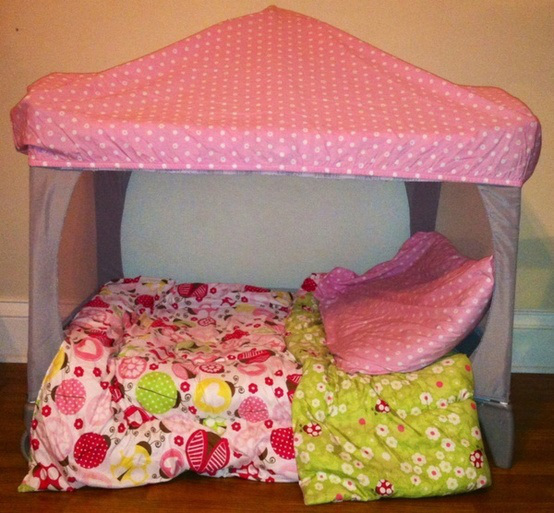 Put in some blankets and a few throw pillows and you have a nice reading spot, a cute tent, or a portable toddler bed. If you have indoor pets such as cats or dogs you can create a space just for them. Instead of cutting out the larger mesh side of the play yard, cut out one of the ends (the smaller side). Place a pet pillow inside or some old blankets and you have a nice pet bed they can step into to help keep them off of your furniture. If your play yard came with a mobile or toy bar you can also attach a toy with a long string that comes down enough for your cat(s) to play with. This would create a nice space for an expectant cat or dog to have their litter as well rather than a cardboard box. We used to have one of those inflatable ball pit play houses for my toddler, but unfortunately it ended up busting somehow and was no longer usable. We still kept the balls from it, however because they can still be played with. Many ball pit houses like these are inflatable and so you have that risk of it popping and then you can’t use it anymore. You can actually do this with a small swimming pool too. Fill the play yard with plastic air-filled balls until the bottom is completely covered. You can purchase just a bag of balls that come in packages of 50 or more for a very reasonable price to transform your playpen into a fun ball pit suitable for up to 3 toddlers. This is likely one of the simplest ideas to reuse your playpen. 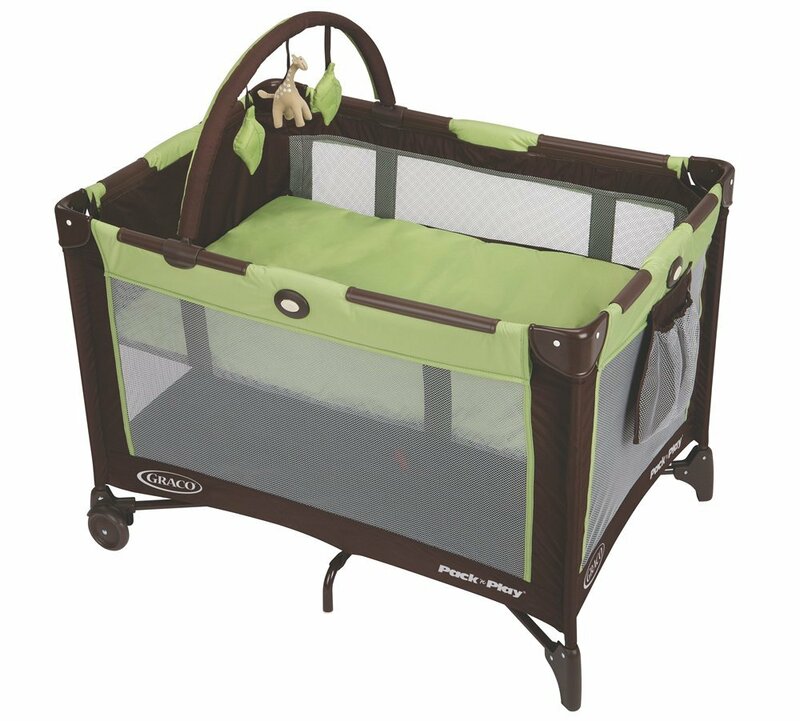 Use it in your child’s room to store stuffed animals and toys or use it outside to hold outdoor toys. We had an old play yard that was handed down and was stored in a garage which was in rough shape. We used it only a few times for the kids when they were little while we were outside but once they got older I put their toys in it to keep them better organized. You can try any of these easy solutions for repurposing that old play yard that your baby is no longer using. If you have any other ideas on how to repurpose a play yard please feel free to share them with us! is the play yard tent on Pinterest where I can pin it? that is awesome! Thank you dropping by Noni, I went ahead and added the “pin it” button. You may pin this post using any available images. My sons playpen didn’t come with anything that makes the point, but I love that idea instead of it just laying flat. Any ideas on how I could make this with different materials? It doesn’t necessarily have to have a point. You can possibly use cardboard (if you purchase boxes of diapers just break the box down once all the diapers are used) by bending it to form a point or a dome and attach to the top of the play pen using duct tape) Plus you get to repurpose the box instead of just throwing it out!